Percy’s afternoon ablutions. I can’t help but be impressed at a creature that can lick its own spine! 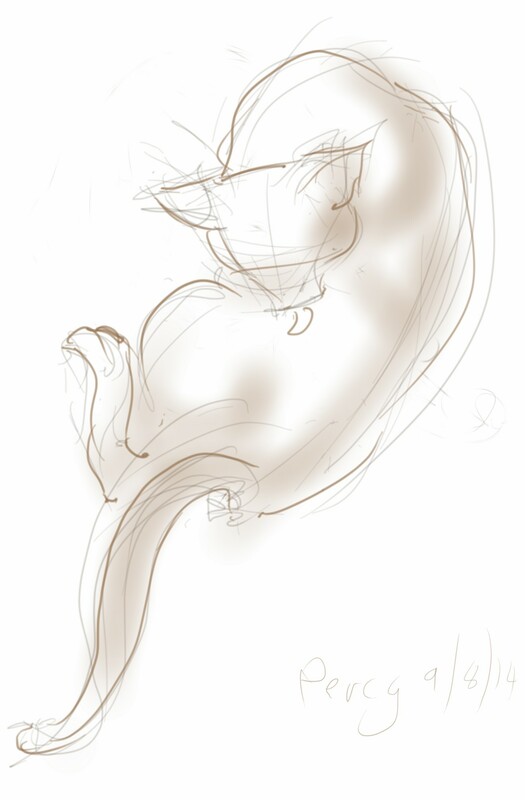 This entry was posted in Cats and tagged art, cat, cat washing, cat-of-the-day, digital sketch, drawing, ginger and white, illustration, life drawing, phone sketch on April 9, 2014 by Nancy Farmer.